Our roots are local and have been for over 41 years. Fairview flowers are planted, propagated and grown in our greenhouses. The Fairview plant production staff has been here for decades, literally. 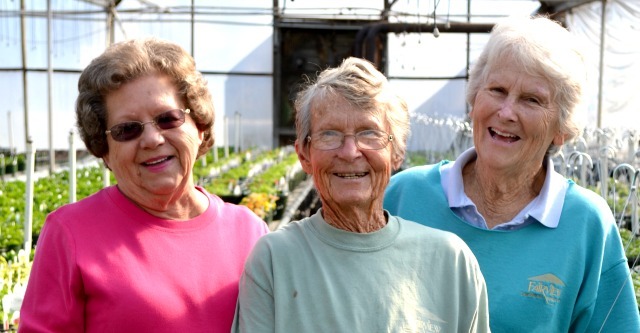 When combined, they have worked in the Fairview greenhouses for over 225 years. How’s that for experience? We don’t say this to brag. We are proud to be locally grown in every sense of the word, from our people to our plants. It’s what sets us apart. It’s what makes a flower from Fairview brighter than any other. It’s our people, passion and our local roots. 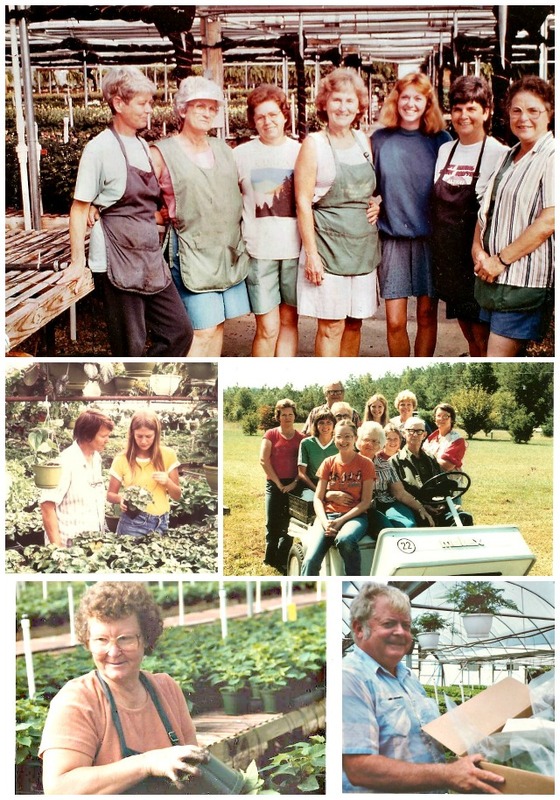 Jo Ann Dewar founded Fairview Garden Center over 41 years ago. Plants are her passion. 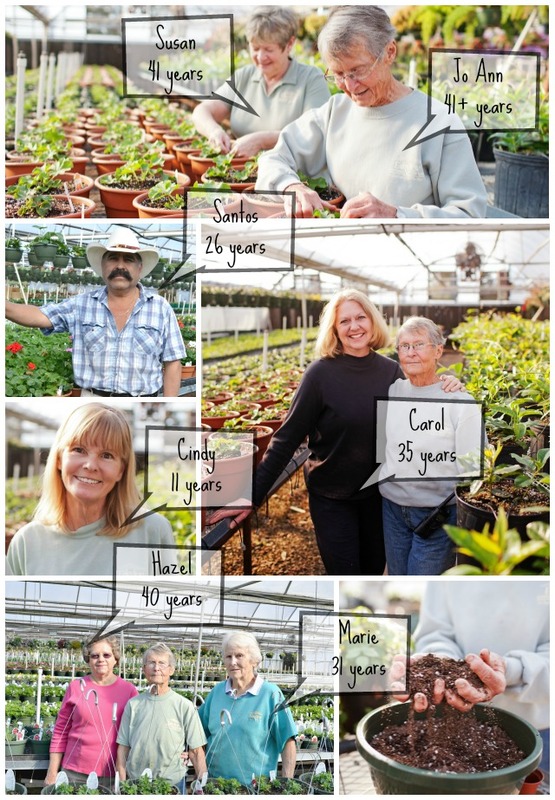 At 83, she still has a hand in every plant grown at Fairview. She drives her golf cart from her home to the greenhouse every single day. She sits at home late at night propagating plant cuttings from the comfort of her recliner. Her dedication is the reason for Fairview’s quality and success. Susan Rollins is Jo Ann’s daughter. She was raised in the greenhouses, along with her three siblings. Susan has been a Fairview employee for her entire life. 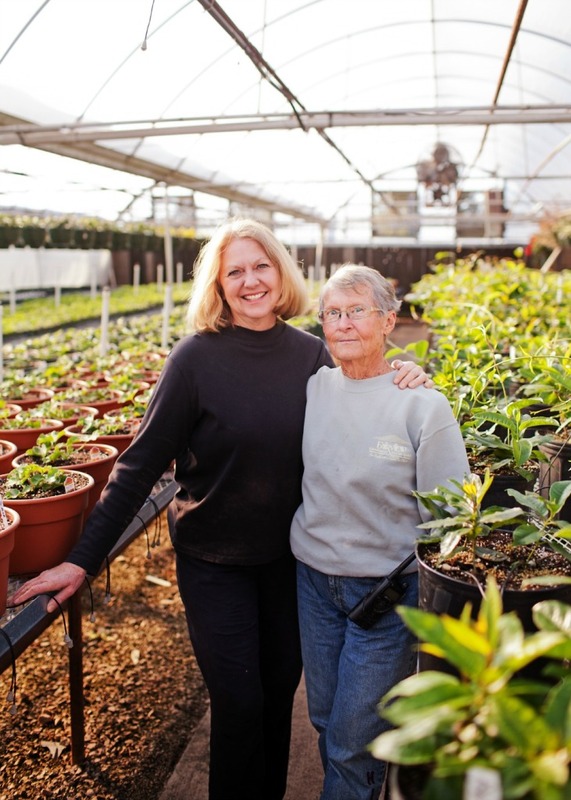 She has worked under her mother’s loving support and guidance to perpetuate Fairview’s homegrown plant quality. 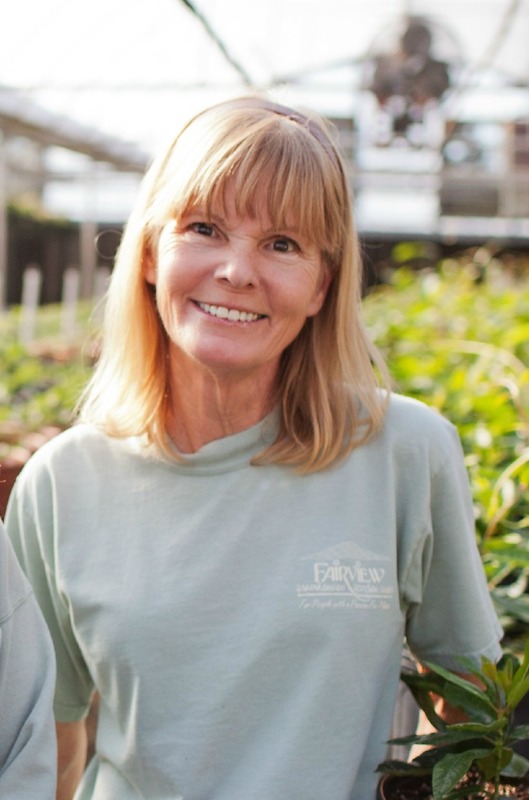 Carol Calloway is Fairview’s head grower. She has worked in the Fairview greenhouses for over 35 years (or since she was 10 years old, as she likes to say) after receiving a degree in Horticulture from NCSU. Carol is responsible for planning, planting and maintaining crops including annuals, perennials, Poinsettias and Easter Lilies. She helps make your flower bed, church or fundraiser beautiful and successful year after year. Hazel Matthews is Jo Ann’s sister-in-law. She began working at Fairview shortly after the founding of the business. Hazel worked in the greenhouse alongside Jo Ann’s own mother and father who have since passed. 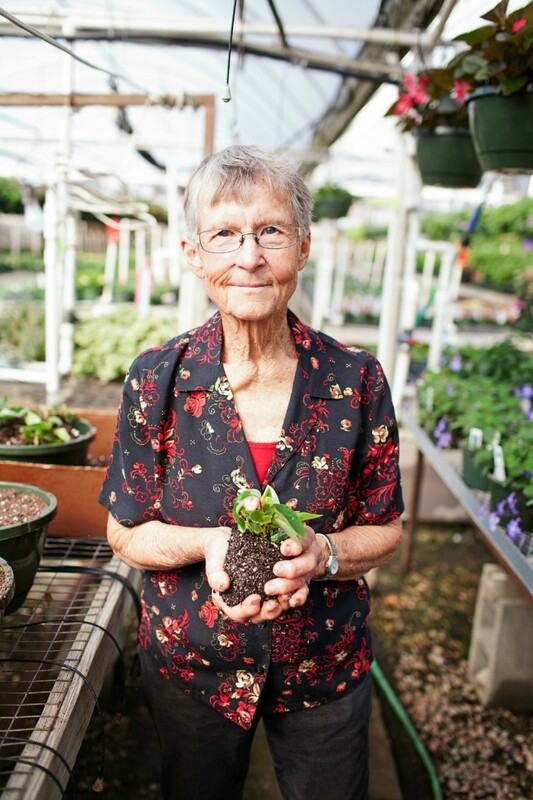 Hazel helps fill each and every pot at Fairview with soil, water, flowers, fertilizer and love. Marie Pleasants has been a loyal Fairview employee for over 31 years. She and Hazel are “peas in a pod” and have their planting rhythm down to a science. They work together to make sure every plant and hanging basket is blooming, beautiful and ready to sell. Santos is Jo Ann’s right hand man. Whatever needs planting, watering, moving or fixing, Santos is the man for the job. 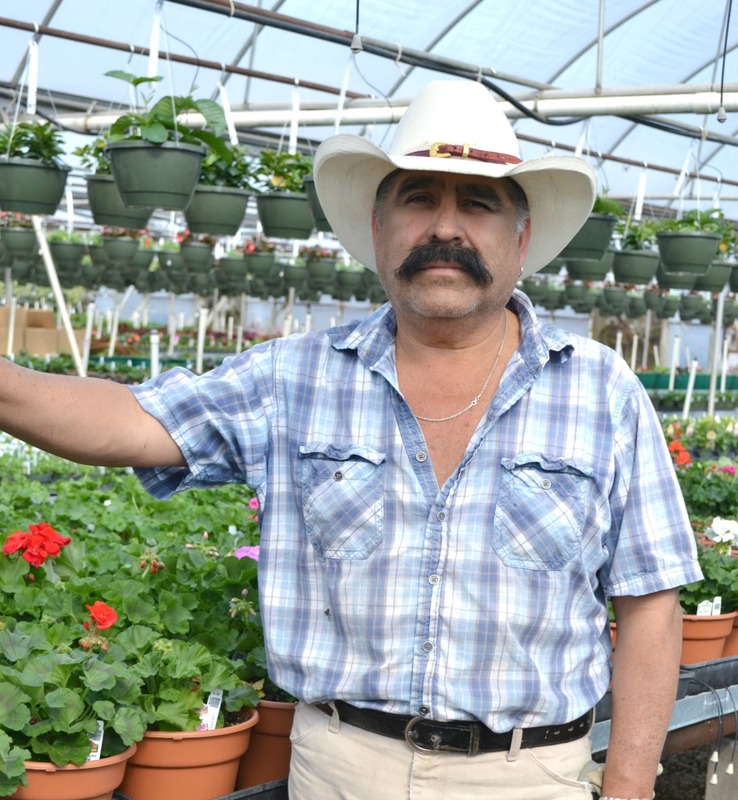 Santos has worked with Jo Ann in the greenhouses and her garden for over 26 years. Cindy Green has worked at Fairview for over 11 years. In the Sping and Fall you will find her helpful hands and knowledgeable advice in the Perennial Department. In the winter and summer months Cindy is in the greenhouses caring for homegrown plants so that they are ready to sell in the busy seasons. We are passionate and proud of our local roots. 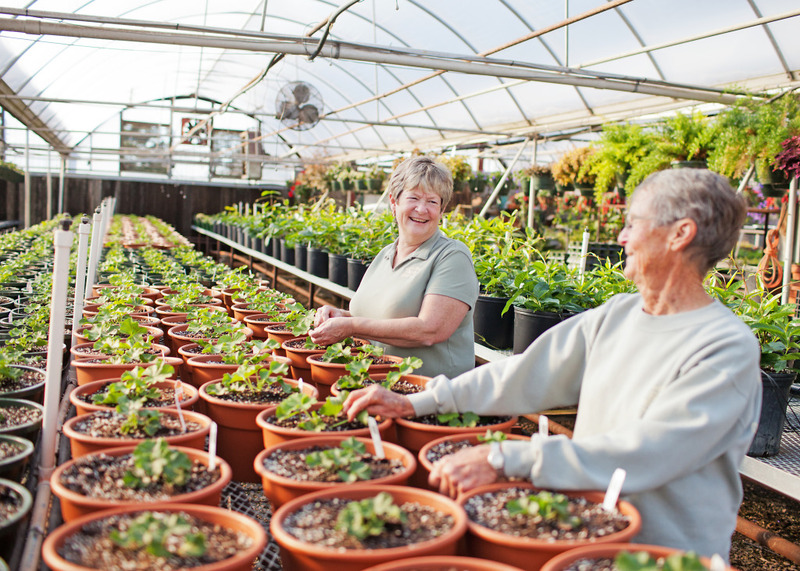 We hope that every time you come to Fairview Garden Center you can sense our passion for plants, people and our community.